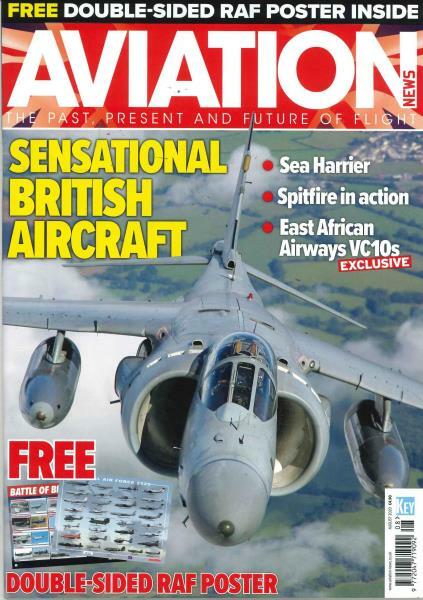 As Britain’s longest established monthly aviation journal, Aviation News is renowned for providing the best coverage of every branch of aviation. Buy a single copy or subscription to Aviation News magazine. With Aviation News now incorporating JETS magazine, each issue features latest news and in-depth features, plus firsthand accounts from pilots putting you in the cockpit. Covering both modern military and civil aircraft as well as classic types from yesteryear, Aviation News covers subjects from World War Two, through the Cold War years to present day. The magazine also prides itself on providing useful information to enthusiasts, such as event guides and details of hotels with excellent views of airports. Now with a fresh new look featuring the very best photography and all-new sections to help you get the most out of your hobby, Aviation News brings you the past, present and future of flight.